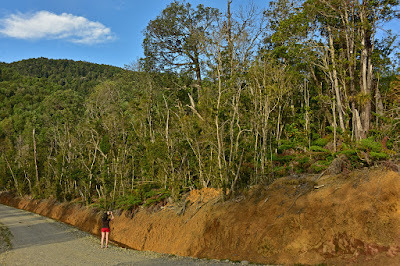 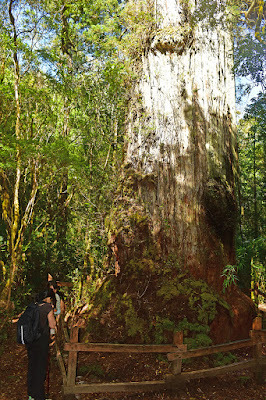 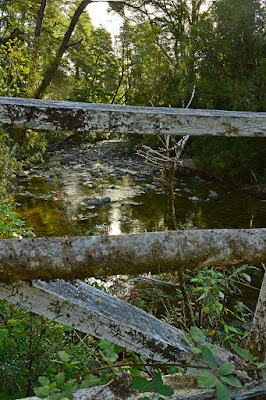 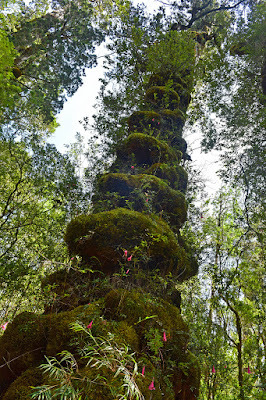 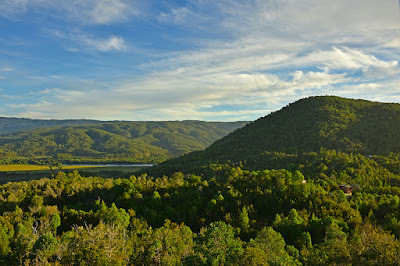 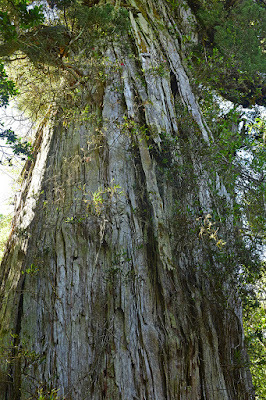 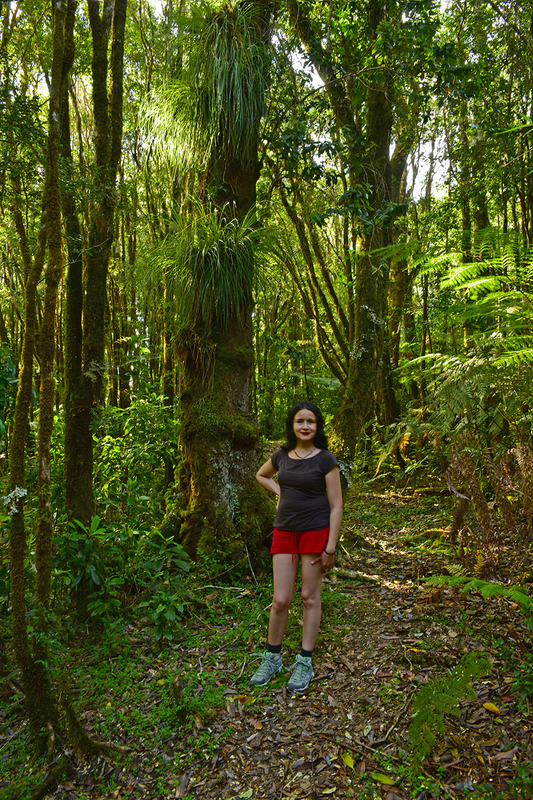 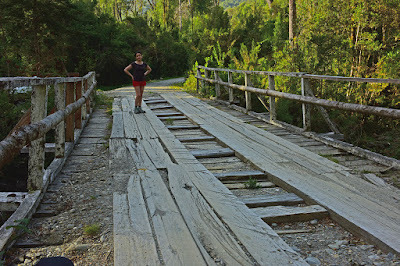 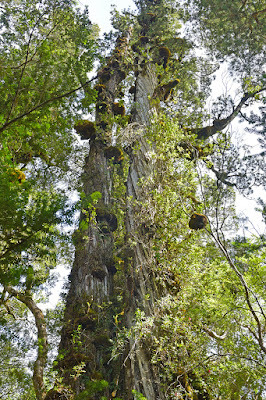 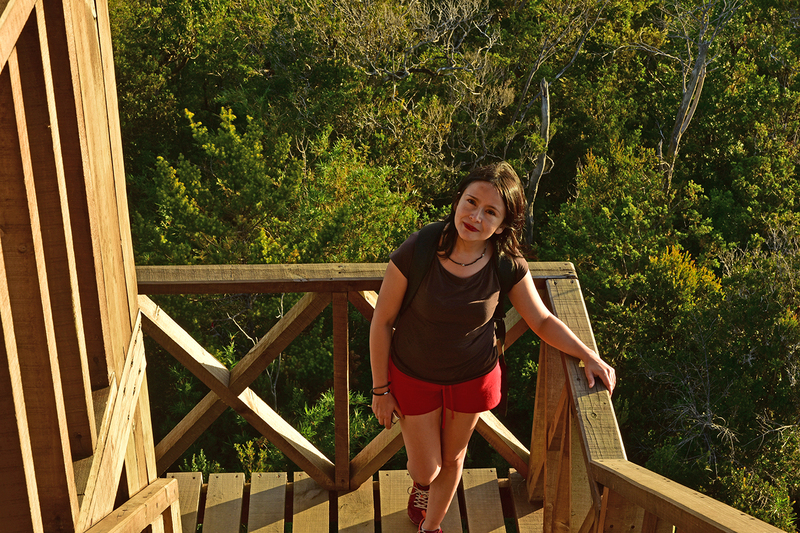 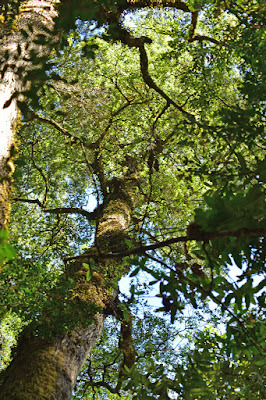 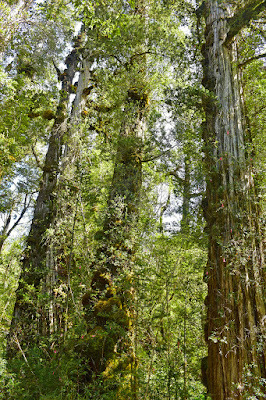 Continuing on our adventure in and around Valdivia we made a day trip to the fairly new Parque Nacional Alerce Costero. 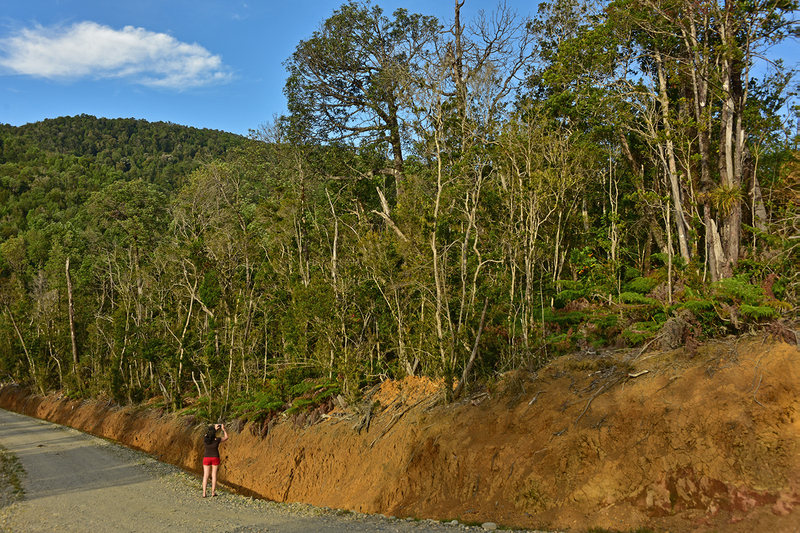 This is an area of Chile that was devastated by the lumber industry that clear cut almost all of the native forests and then replanted Eucalyptus trees that grow fast so that they have a crop every ten years or so to cut down. 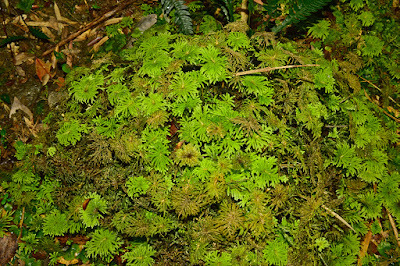 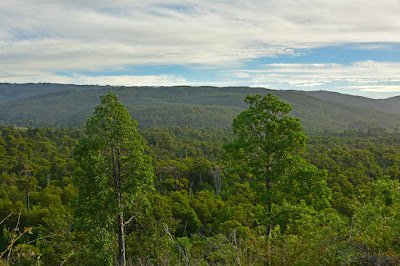 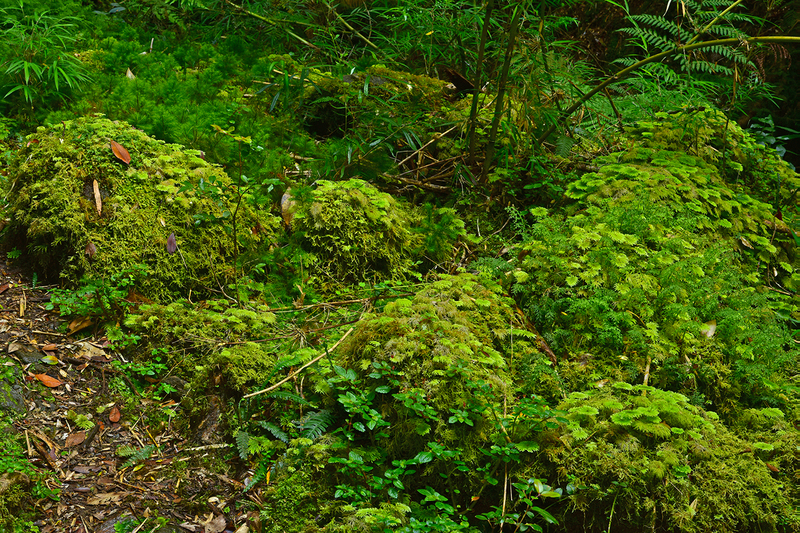 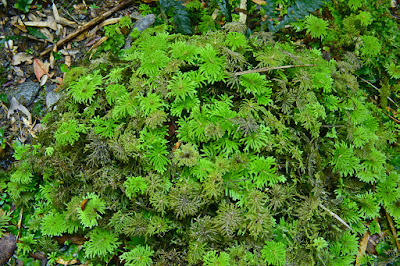 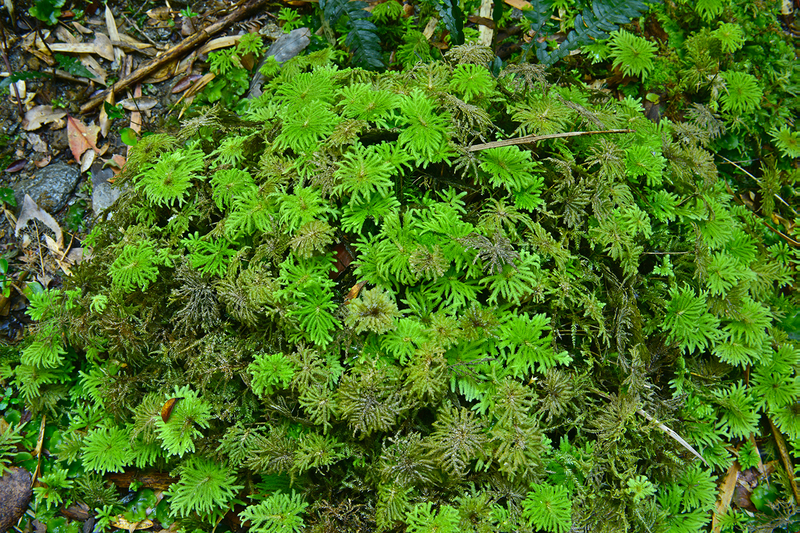 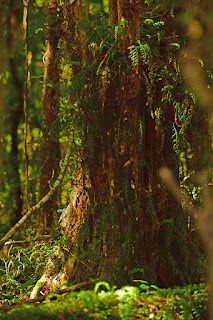 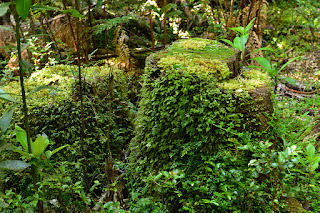 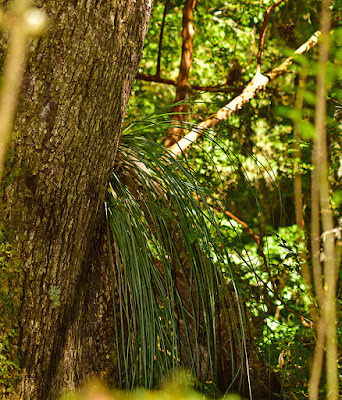 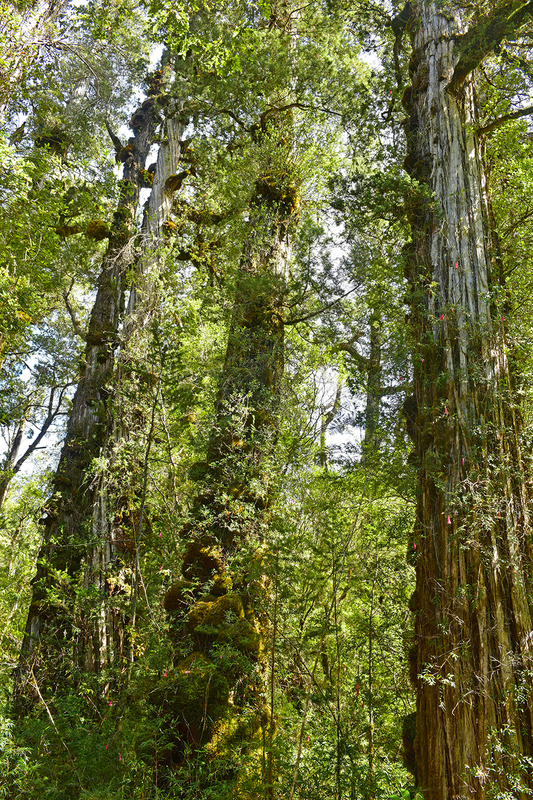 These type of forest take hundreds and thousands of years to grow and the Alerce tree itself will only grow 1 centimeter per year. 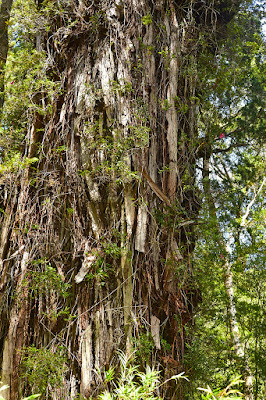 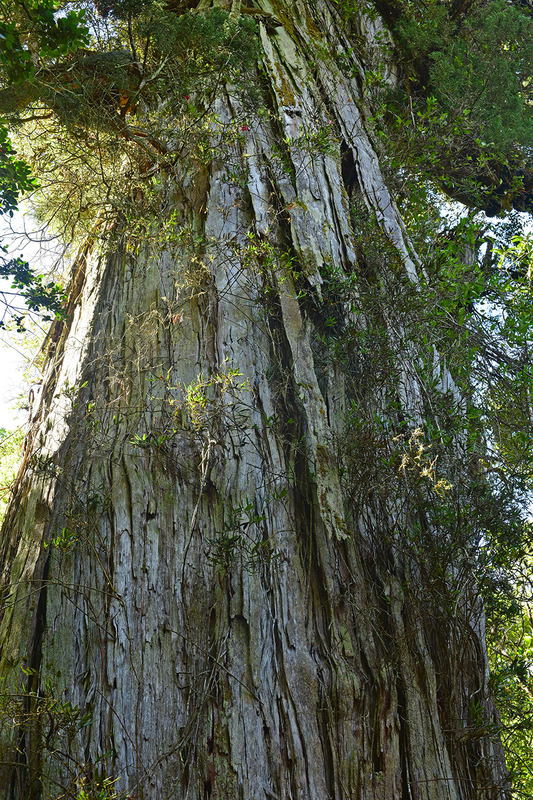 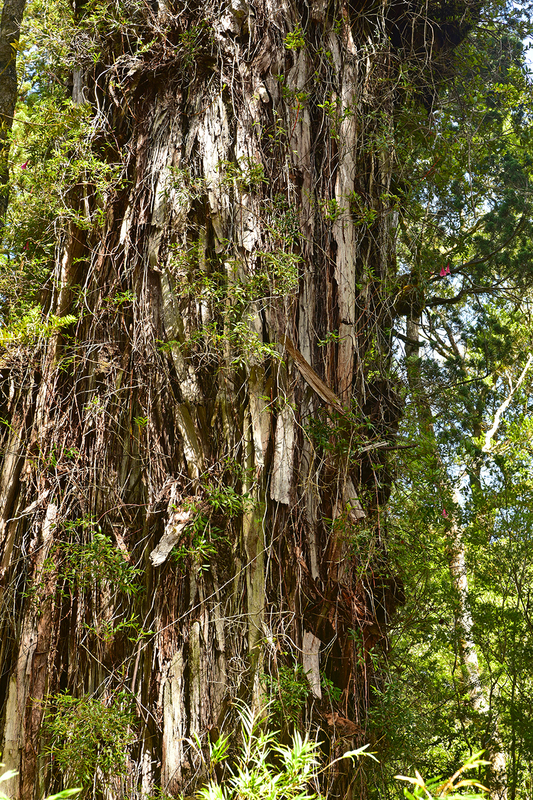 The Alerce is the smaller equivalent of the American sequoia tree and can grow thousands of years old and become over 200 feet tall and taller. 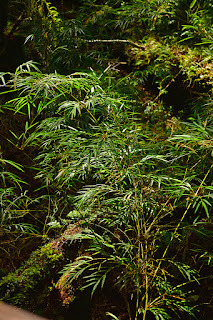 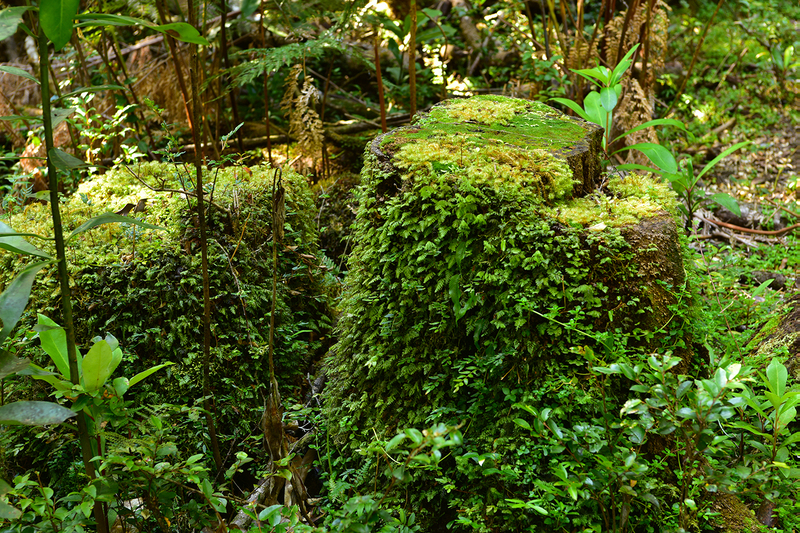 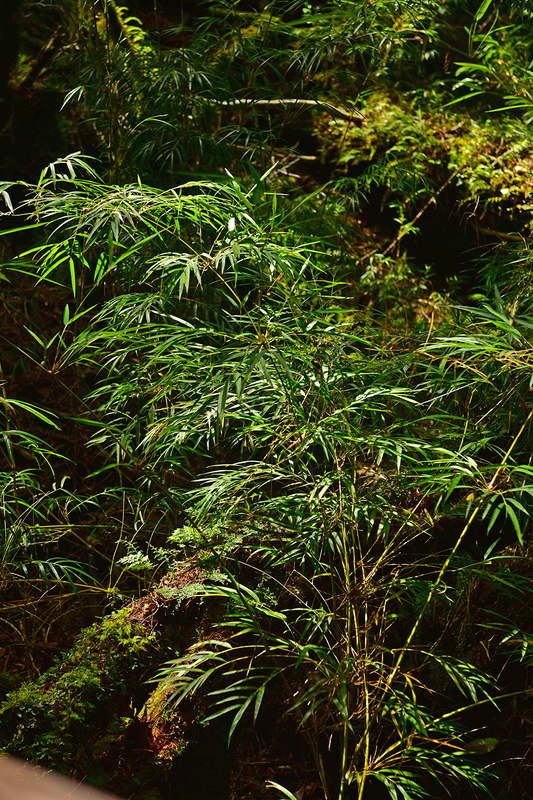 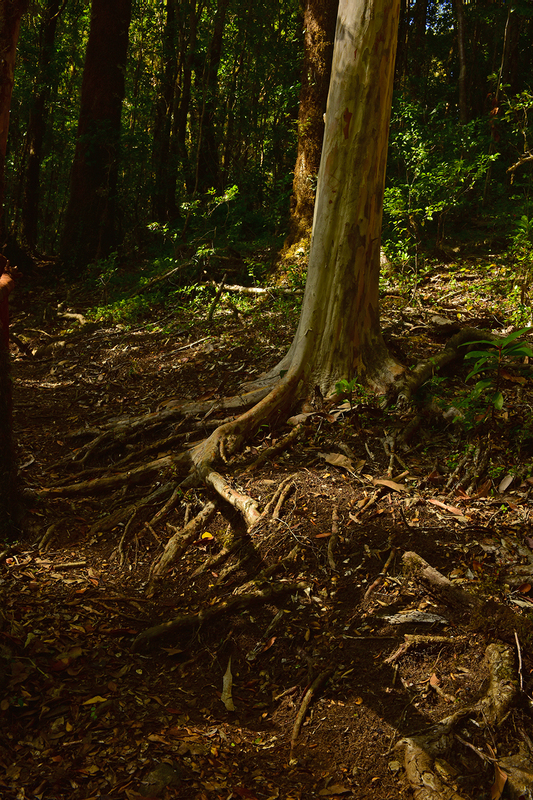 These are the images of the life inside the 'Valdivian Jungle' which is thick, green and wet. 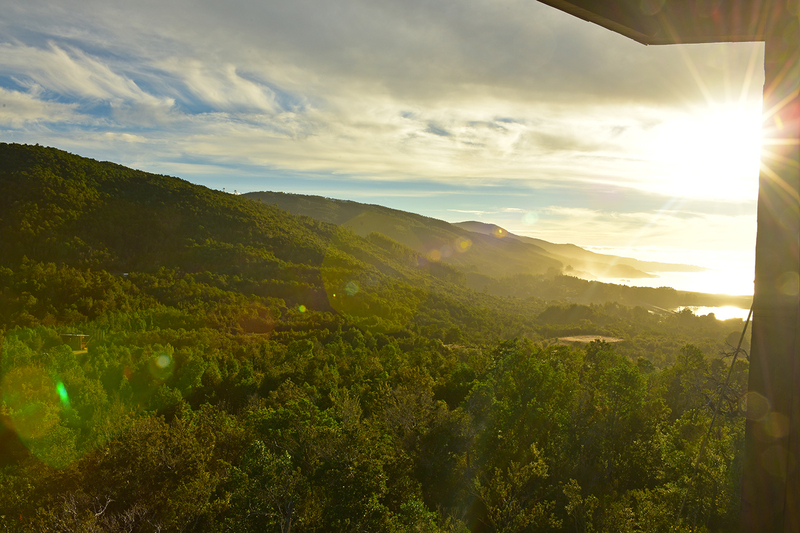 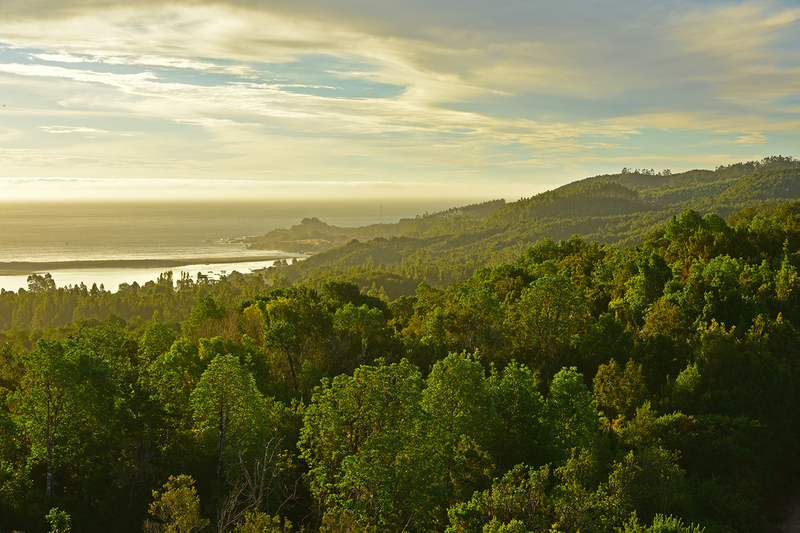 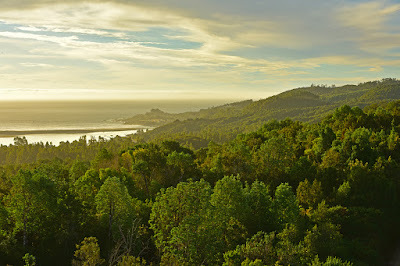 "Chile contains the largest zone of coastal temperate rain forest remaining in the southern hemisphere, and is the only country to have all four coastal temperate rain forest types within its national boundaries. 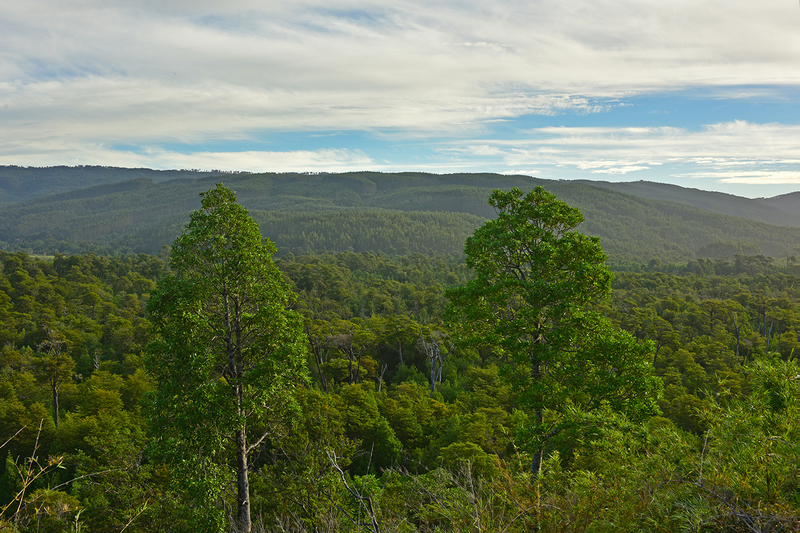 Chile's temperate rain forests are the most species-rich in the world, due to a complex landscape which has produced diverse habitats and species composition. 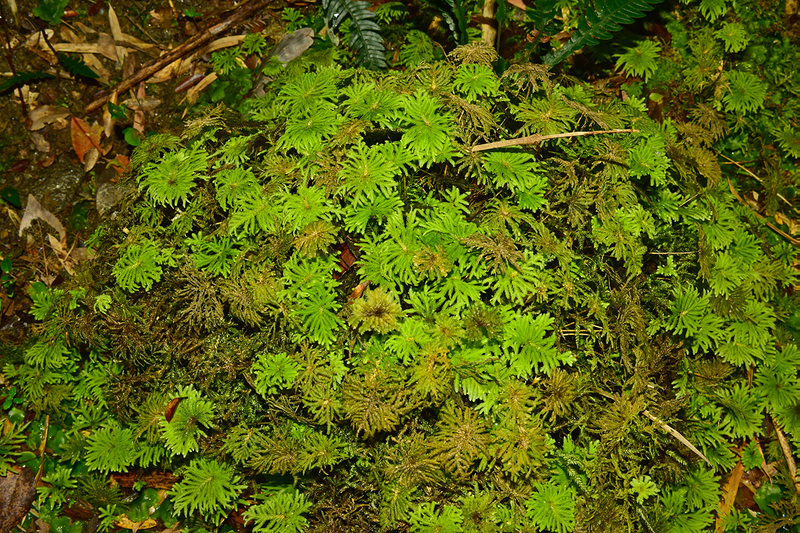 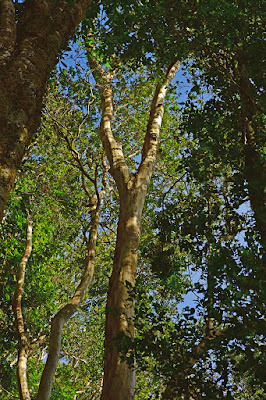 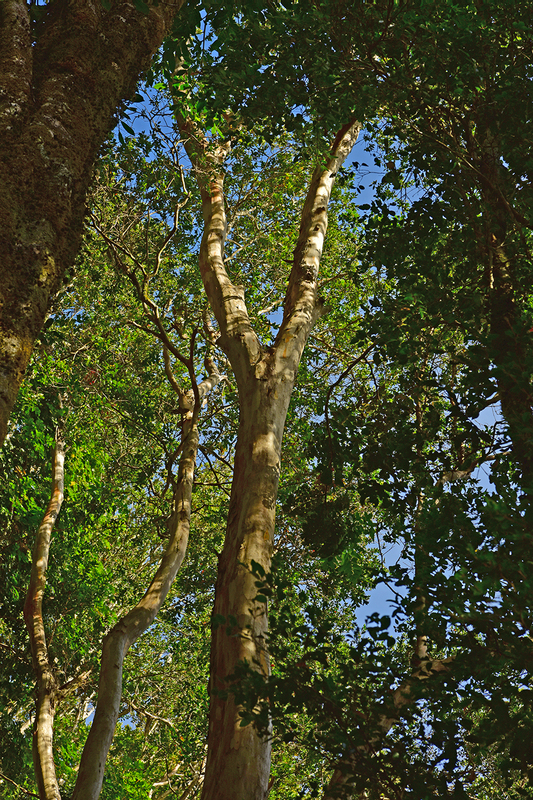 The subtropical rain forest on the Juan Fernandez Archipelago best exemplifies this biodiversity, with a 70% level of endemism in a very confined area (C. Weber, 1990, Corporacion Nacional Forestal, pers. 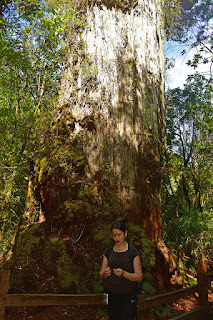 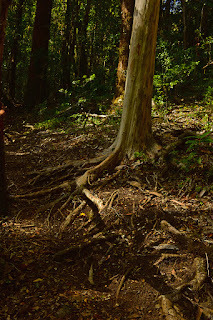 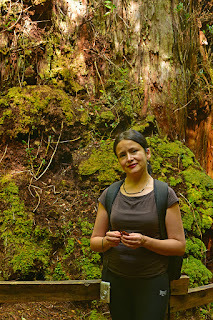 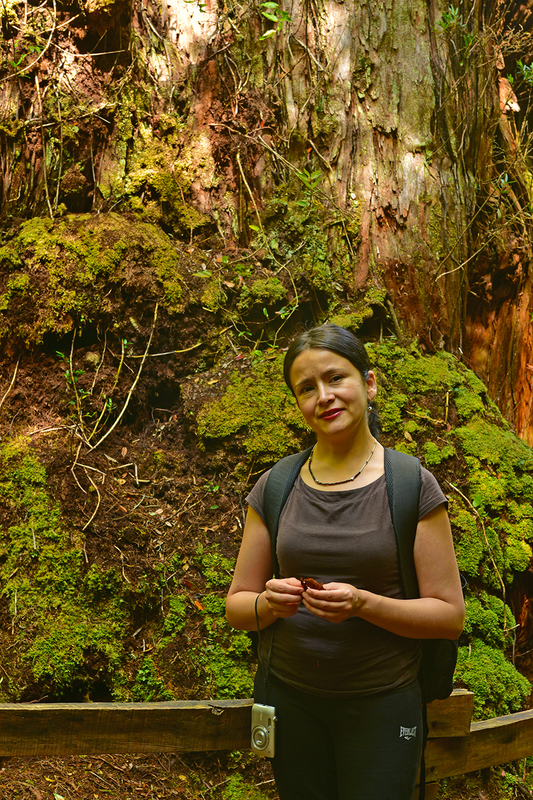 My wife Lidice standing in front of a 100 year old Alerce tree. 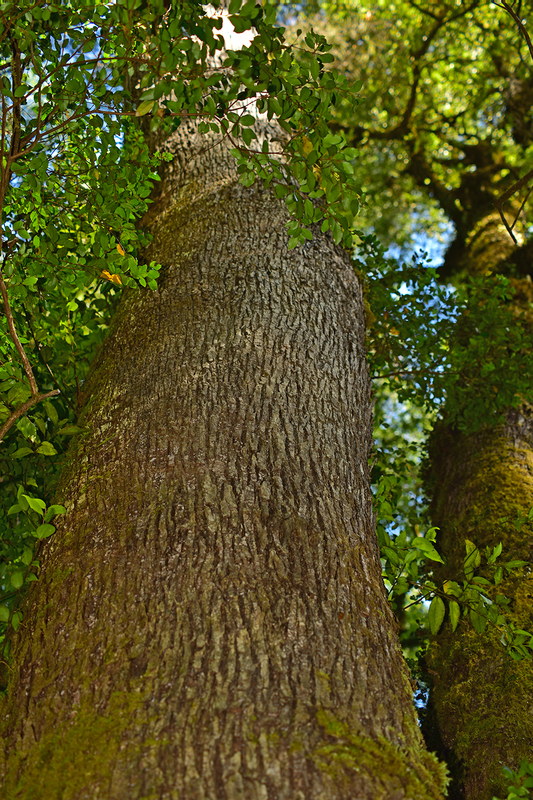 One centimeter per year is all this tree grows. 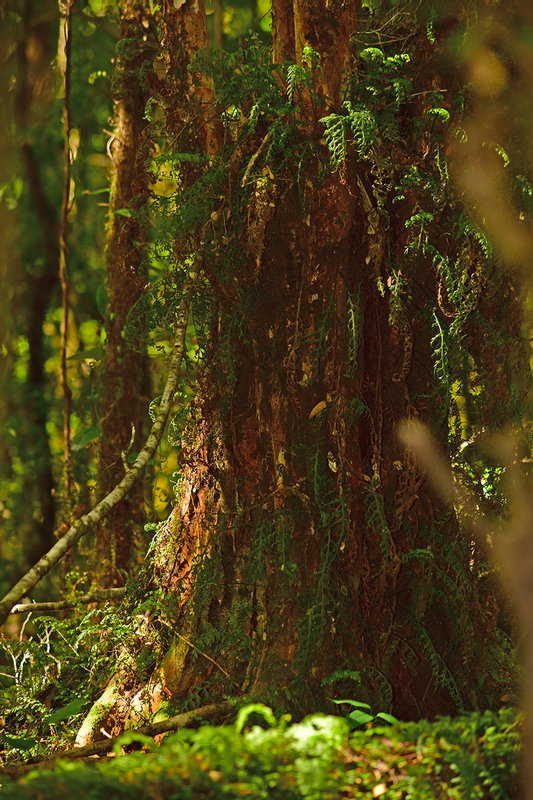 Into the forest we go. 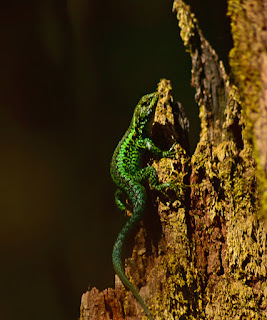 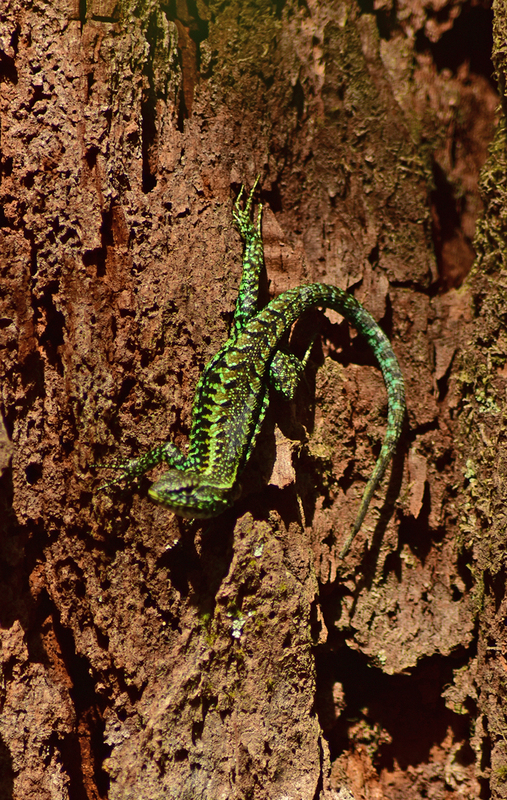 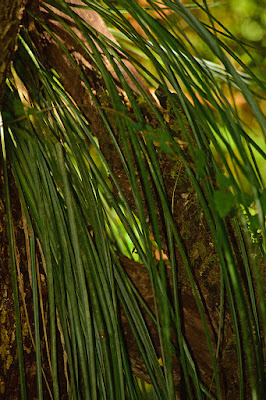 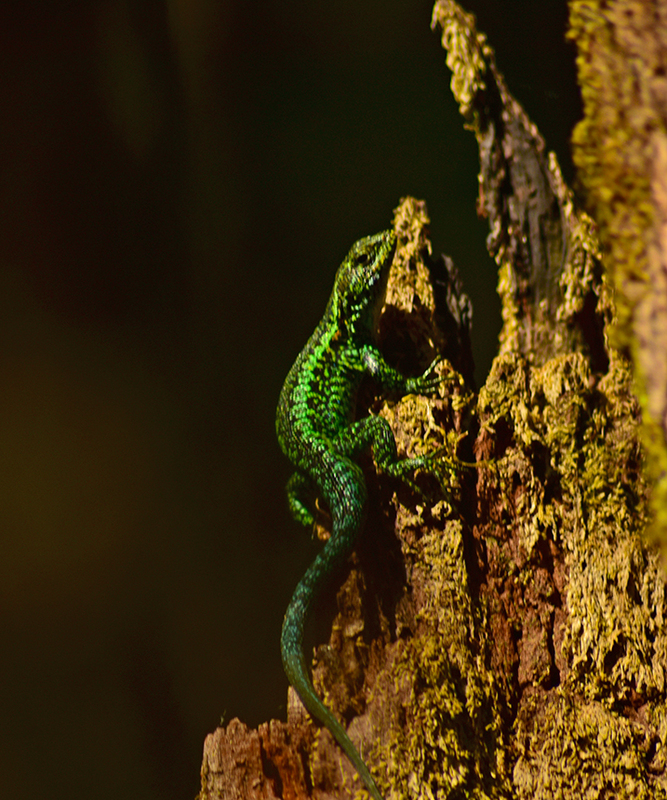 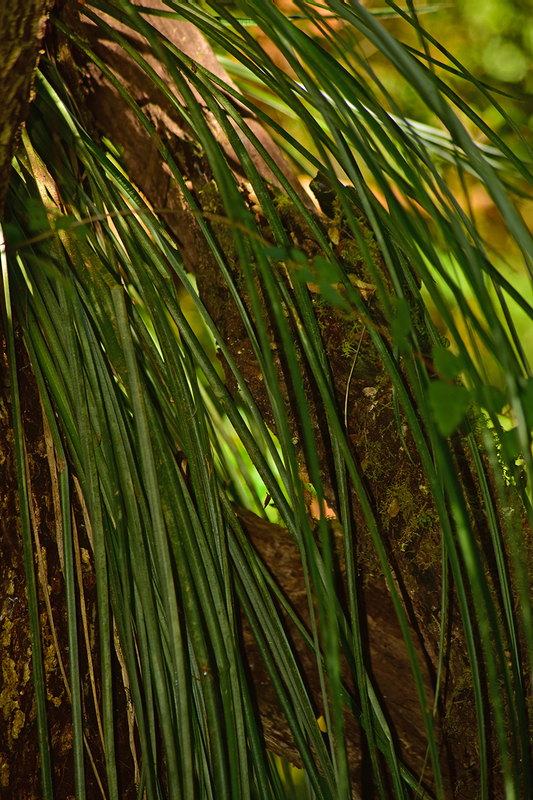 A few green lizards were spotted hanging out in sunlight coming through the canopy. 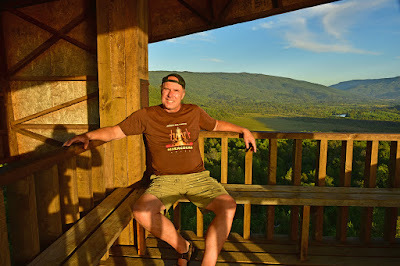 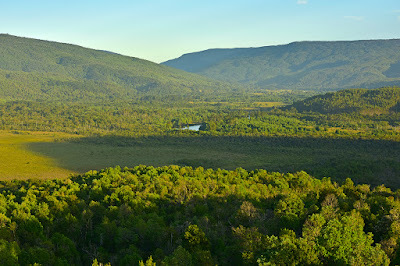 The overview of the National Forest from a wooden tower with yours truly. 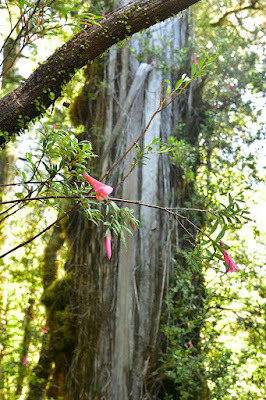 Copihue; Lapageria rosea is a genus of flowering plants with only one known species. 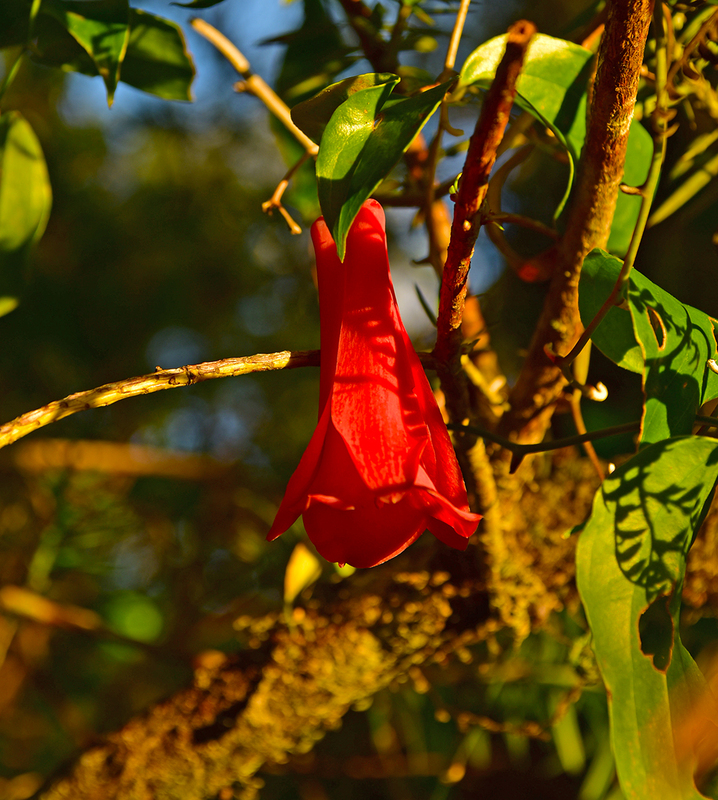 Commonly known as Chilean Bellflower or Copihue(co-pee-way) is the national flower of Chile, and grows in forests in the southern part of Chile, being part of the Valdivian temperate rain forest's flora. 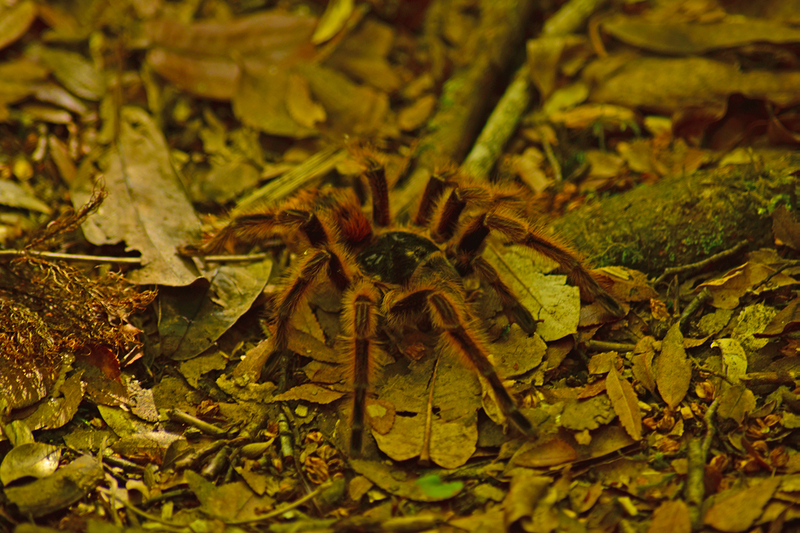 A pretty spider came out of the forests on a mission. 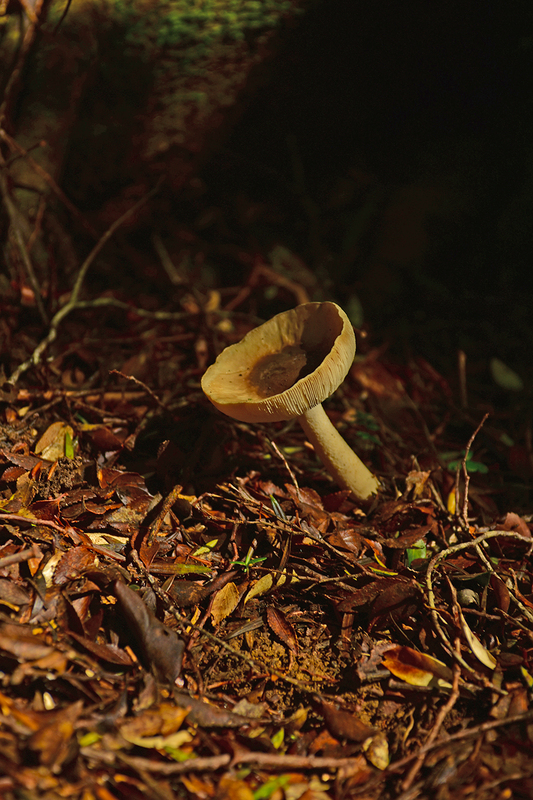 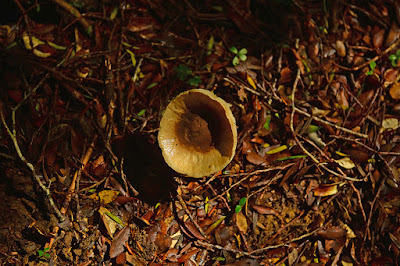 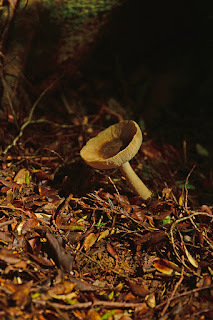 A lone mushroom came up seeking sunlight. 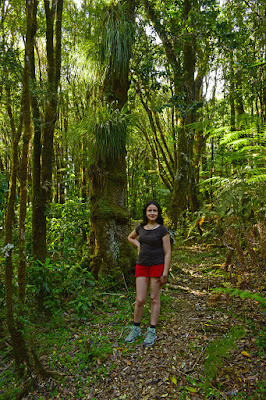 Lidice finishing up her hike. 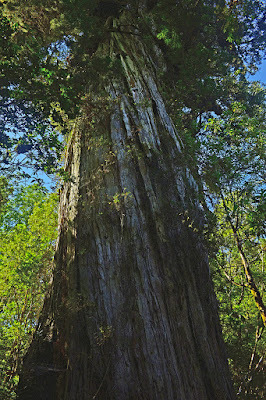 Finally, the Alerce grove. It was pretty small and the guide gave me like five minutes to take pictures so I worked as fast... 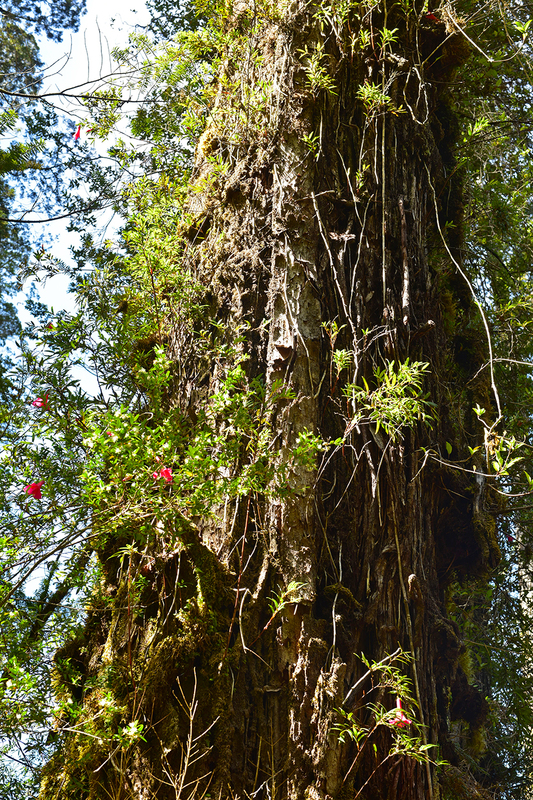 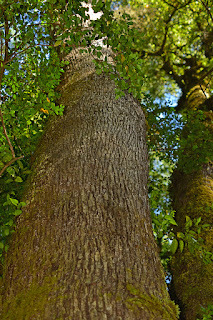 Unlike the Coastal California Redwoods and the Sierra Nevada Sequoias these ancient trees are covered with thick moss, vines and other clingers.